When I think about going for a day trip from London to the sea side , Brighton, Eastbourne, Bournemouth, Southend-On-The-Sea tops the list. Having been there several times, I have lost all interest. They are easily reached on public transport and really popular, hence they are really crowded. I want to go somewhere different but not too far from London. 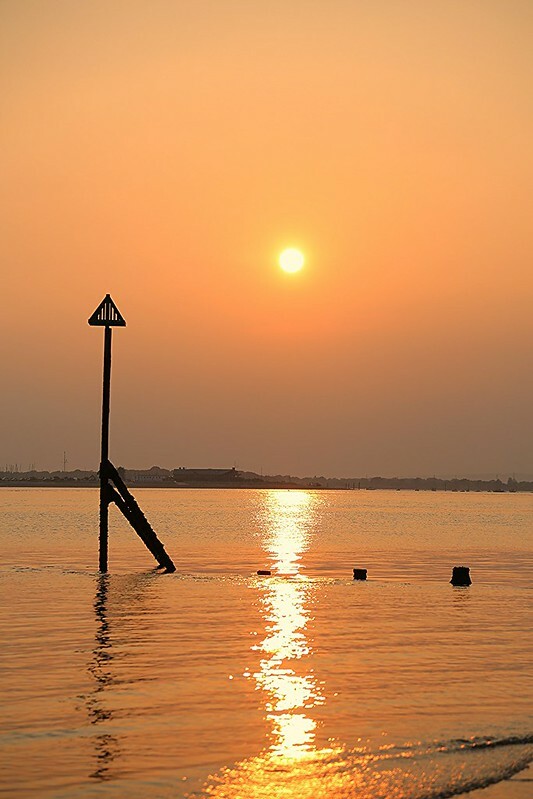 Not being a morning person, Simi and I set off to Hayling Island in Hampshire near Portsmouth at 9:00 in the morning. I enjoy driving on A3, I find A3 exciting than any other dual carriage way or motorway in greater London. A3 let us experience gentle hills, Meadows, Tunnel etc. A3 is not just another stretch of road where you feel monotonous with Tarmac and multiple wide lanes. The distance is 67 miles from Wimbledon, about 1.5 hours drive. The day was on Saturday in Bank holiday weekend, road was congested as we anticipated. The traffic was moving 10 MPH between Guildford and Hindhead. Despite of congestion we were making most out of delay by listening to music really loud. So loud, few passer by gave us a look. 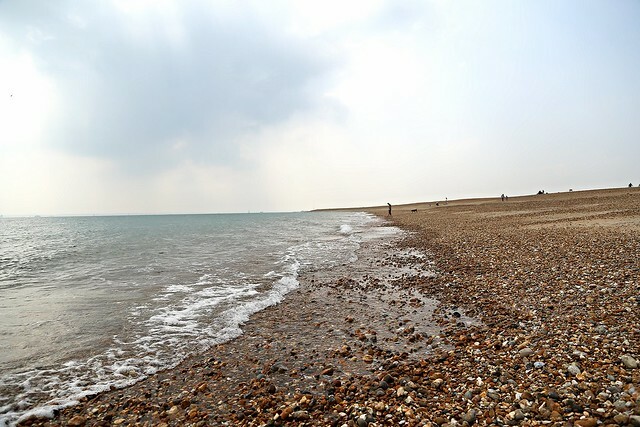 Hayling Island beach is a pebble beach, ideal for hours long walk. Weather was lovely, hot sunny and humid. We had no plan to dive into the water so we spend on the beach talking, relaxing, power nap and enjoying home made packed lunch. There were many dogs, by the looks of it, dog loves strolling on the beach despite of the sign ‘no dogs allowed’ further down the nearby road. 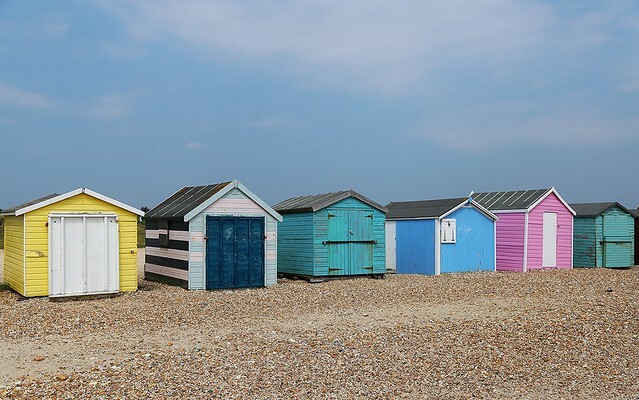 Beach huts added vibrance on the coast line with vivid colors. There was plenty of parking space. I hate paying for parking when I travel far from the city. The car parks are expensive £1.20 an hour, and only accept per hour pricing, so put in £1.50 and you get an hour’s parking, no more and no change. There were few places offering £3 for a day parking. All essentials like Coffee, Icecream, WC were in a short walk. We drove 17 Miles, about 30 minutes from Hayling to Itchenor. 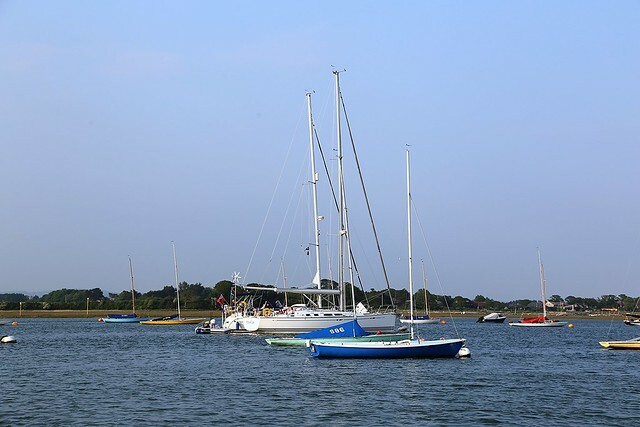 This is small harbour which offers sailing trips on vintage oyster boat and regular boat trips. When we were there there were no scheduled boat trip however it was beautiful stop over. I took some nice photographs. 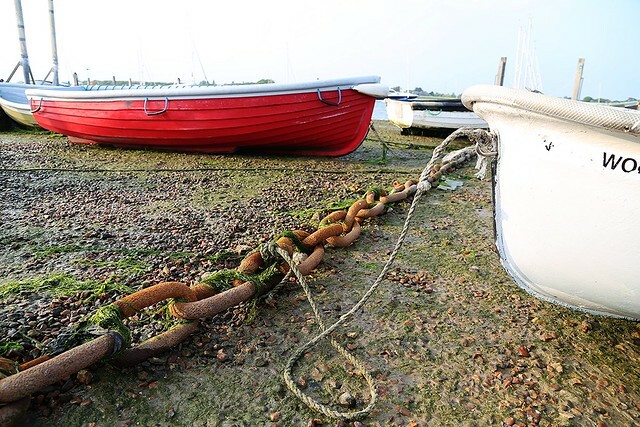 Small boats were tied to iron chain for safety. I tried to lift a chain with 5 loops, it was not that easy. It assured chain with many loops is practically impossible to lift by humans. We briefly stopped over Bracklesham Bay. This is similar to Hayling Island beach. The main difference was the colors pebbles which were white and grey. Plenty of car parking space and Billys on the beach was at the car park to grab a quick snacks. We spent about 20 mins walking on the beach before heading off to next stop. 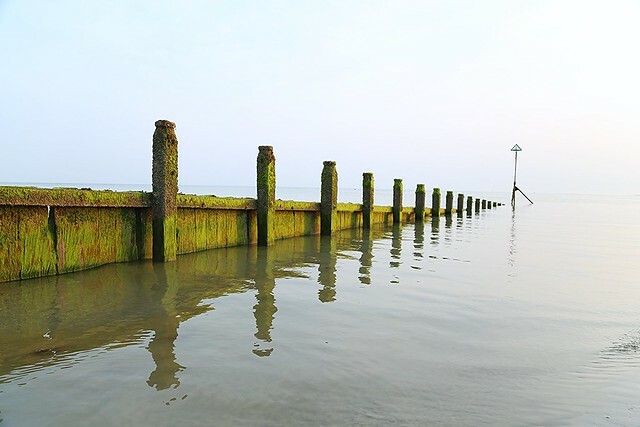 West wittering beach is a short drive from the Bay. We find this unique and beautiful. To enter into beach territory, we paid parking in advance. It was not much, £3 for a day. It was worth every penny. Few minutes drive from the entrance to the end of the road, we saw wide open spaces, horses, acres of neatly mown grass close to the beach which are perfect for parking, and picnics. Parking was literally by the beach. They close at 8:30 Pm which is disappointing. Our intention is to take photographs of Sunset on the sandy beach. We had to rush for it.